Knowledge, expertise and trust are important pillars of the service of PNO Consultants B.V. and the other group companies affiliated to the PNO-group, which mainly operate under the names PNO Consultants, CiaoTech, PNO Participation and PNO Innovation. We are committed to giving you clarity on how we handle your personal data. In this Privacy Statement we inform you about our approach to handling and processing of personal data. PNO Consultants B.V. (PNO Consultants) is the controller and is located at Laan van Zuid Hoorn 15, 2289 DC in Rijswijk. You can contact us by at +31 (0) 88-838 13 81, by e-mail at gdpr@pnoconsultants.com. This Privacy Statement applies to all persons whose personal data PNO Consultants processes, with the exception of persons working at PNO Consultants. Personal data means any data that contains information about persons through which those persons are identifiable. The execution of a contract in which you have engaged us for the purpose of delivering innovation and financial consulting services by our consultants. If you hand over an assignment to a consultant, at the minimum your contact details will be requested. Other personal data may also be necessary for the handling of the assignment, depending on the nature of the assignment. Furthermore, the data is used for invoicing for the services provided. Interaction data: Obtain personal data and contact between PNO Consultants and you. For example about your use of our website or supported applications. This also applies to offline interactions, such as how often and when there is contact between PNO Consultants and you. Behavioral data: Personal data that PNO Consultants processes about your behavior, such as your preferences, opinions, wishes and needs. We can derive this data from your surfing behavior on our website, reading our newsletters or by requesting information. But also through contact, incoming telephone calls and e-mail contact with our employees. Information obtained through tracking cookies, we collect and use only with your permission, which you can always withdraw. See our cookie statement https://www.pnoconsultants.com/cookie-policy. Performing and analysing research on client satisfaction. Creating user statistics.The user statistics of the website enable us to get a picture of the number of visitors, the duration of the visit, which parts of the website are being viewed and the click-behavior. It concerns generic reports, without information about individuals. We use the information obtained to improve the website. If you visit our office, we will note your name on arrival. In addition, camera images can be made on the outside of the office, at the reception desk and at the entrance to the meeting rooms. We do this to know in case of emergencies who is in the building and to ensure that unauthorised people do not have access to the office. Camera images are in principle destroyed after 10 days. Permission: If we have requested your permission to process your personal data and you have given this permission, then you also have the right to withdraw this consent. Agreement or in the run up to the conclusion of an agreement: If you give us an assignment to provide innovation or financing consultancy services, we process personal data if and insofar as this is necessary for the execution of the assignment. Legal obligation: We only provide personal data to supervisors of investigative authorities if this is legally required. We will take measures in such cases that are reasonably necessary to ensure that your personal data is protected as well as possible. Justified interest: We may also process personal data if we have a legitimate interest and do not therefore disproportionately infringe your privacy. For example, we use your contact information to invite you for seminars and events. We may use service providers (processors) for the processing of your personal data that only process personal data in our order. We conclude a processor agreement with these processors that meets the requirements set by the General Data Protection Regulation (AVG). For example, we work with service providers that offer SaaS solutions (software as a service) or provide hosting services. Furthermore, there are ICT service providers who offer us support in keeping our systems safe and stable. We also use third-party services for sending newsletters and commercial e-mails. 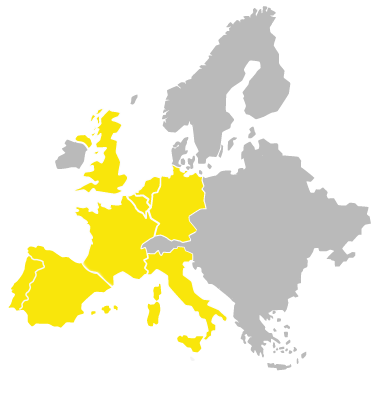 These are examples of parties that can be designated as processors as referred to in the General Data Protection Regulation (AVG). When processing a file, it may be necessary to share your personal data with third parties. For example in probing or asking for funding to a government, or the conclusion of an agreement with further parties. Under the General Data Protection Regulation (AVG), personal data may only be passed on to parties outside the EEA if an appropriate level is guaranteed for the protection of the personal data or if a specific deviation applies. If you have complaints about how we handle your personal data, you can contact us by sending a mail to gdpr@pnoconsultants.com or call +31 (0) 88-838 13 81. We are happy to help you find a solution within a period of four weeks after receiving your request. If that does not work, you can always contact the Dutch Data Protection Authority.